Galleri Heike Arndt DK and Galleri Heike Arndt DK Berlin are Danish galleries located in both Kettinge on Lolland since 1989 as well as in the old East German district of Friedrichshain in Berlin since 2008, an area where the alternative and authentic Berlin flourishes. Both galleries in Berlin (DE) and Kettinge (DK) are owned and managed by Heike Arndt. 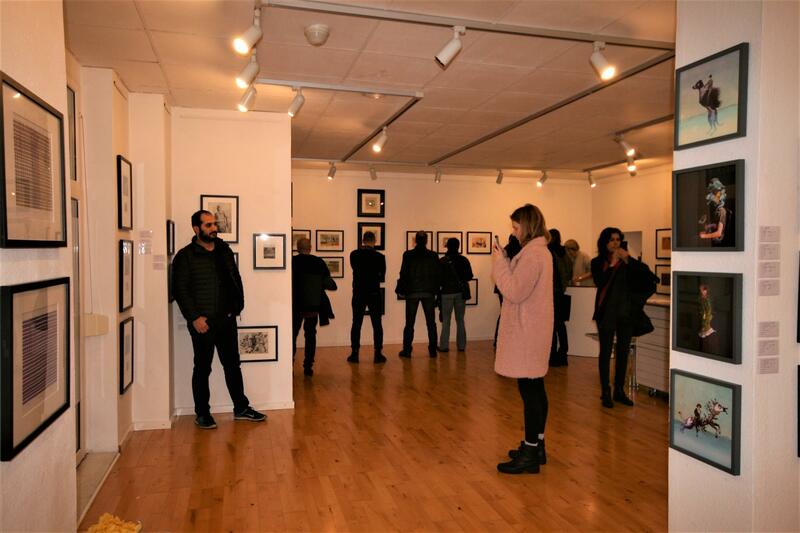 In addition to exhibiting her own work as well as other artists’ work, the galleries also run a string of non-profit activities such as cultural events, workshops, meetups etc. This inclusive business strategy has proved to be a strength as well as a way to differentiate itself from more classical, commercial galleries. The business model with the two associated galleries (Berlin (DE)/Kettinge (DK)) and its own artist studios on Lolland (DK) are an excellent framework for exhibitions as well as projects, workshops, research and professional growth in an international context. The growing demand for both the gallery collective and its related projects are financed, among other things, with a wide range of services. These include primarily art sales, workplace pieces such as murals or sculptures, project and event management, public consultation and private clients as well as various partnerships with external companies. In addition, we offer personal mentoring services, team building and coaching courses based on creative processes. These are often in collaboration with highly qualified partners. Through establishing Galleri Heike Arndt, we have chosen to support an active and dynamic dialogue between the Nordic and German art scenes in Berlin. This is often done in collaboration with various galleries, museums and other cultural institutions. In addition to engaging a new audience, artists are given the opportunity to expand their network through multicultural projects. The gallery defines itself as “klein aber fein” (small but fine). Here you will find contemporary art with a focus on painting, sculpture, ceramics, drawing, graphics and other media such as street and digital art. A strong example of our offering is our graphics department, which consists of a large selection of works by international artists. The art, however, can not stand on its own, in our belief. We have therefore chosen a strong social focus in our work, combining it with the art that is supported by many physical activities. For example, our monthly event, Scandinavian Meeting Point Berlin, our workshops, artist events and, of course, our Open Call exhibitions and related events, for which everyone can apply for participation. Heike Arndt is a Danish-German artist, gallerist and cosmopolitan. She established and has operated the gallery and related activities with great passion and success since 1989. Arndt grew up in East Germany, but moved to Denmark in 1985 and has been based there ever since. Growing up in East Germany, combined with several stays around the world (Greenland, Africa, China, South America and the United States) has led to a fundamental passion for bridging the gap between different people and cultures through art. As some of the gallery’s activities are based on a non-profit model, we rely on a passionate team of interns. At the beginning of each spring and autumn season, a new team of international interns are welcomed into the gallery, and we find this adds energy and an additional dimension to the gallery’s work.